For top marks in Economics, students must get to grips with the maths. 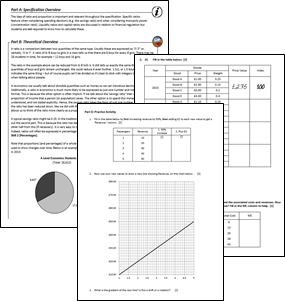 Guide your students to success with this comprehensive pack of theory notes, worked examples and practice questions to use in class or as homework. Perfectly matched to the QS annex – all the tools to tackle any calculation!